All of our bras have been designed by experts with an emphasis on quality and fit so that they are as comfortable as they are beautiful but with important functions. The most important thing is that you find the right Form for you. The one that you feel most comfortable with, the one that you feel looks the best on you. Anyone who has undergone breast surgery in a public hospital, lives in the Southern HSE region and who requires a Breast Form is entitled to 2 bras and a Breast Form. Dear Liz and Kate, I received my breast care products and I’m really very happy with them, perfect fit and very comfortable. They are really very supportive and a great shape. Thanks very much! Dear Kate & Liz, thank you for bras and prosthesis. They are a perfect fit…I feel like a new woman. 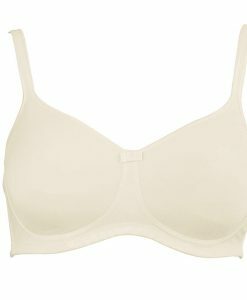 Dear Liz & Kate, just a note to say a sincere thanks for your very efficient delivery of prosthesis & bras for my mother. She is absolutely delighted with them & said to tell you at 91 she feels wonderful in them. Here at Bellisima, we offer a caring and professional fitting service to any woman who has undergone Breast Surgery for Breast Cancer. We also offer a wide range of post surgery bras, breast forms and accessories. Copyright 2019 © Designed by JamJo.